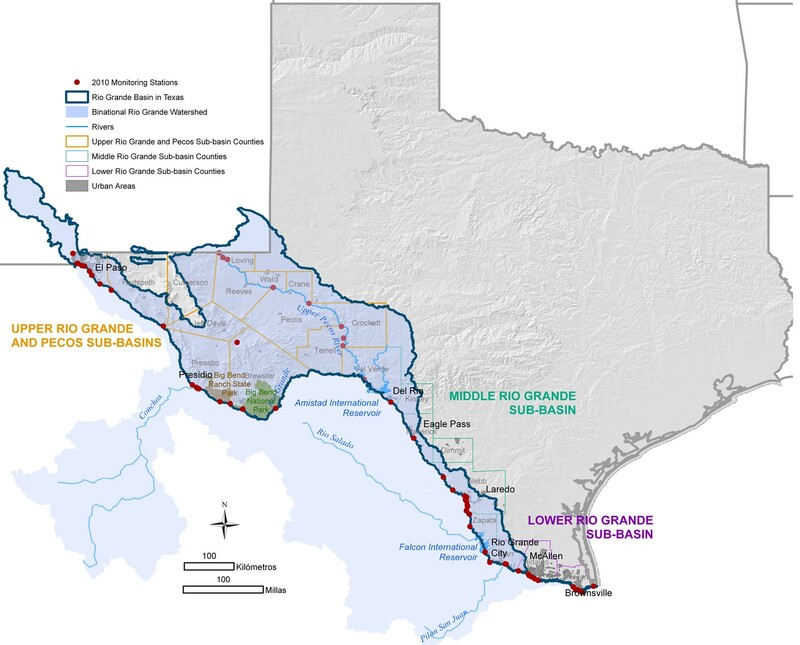 The USIBWC Texas Clean Rivers Program collects water quality from the Texas/New Mexico border down over 1,250 miles to where the Rio Grande empties into the Gulf of Mexico. 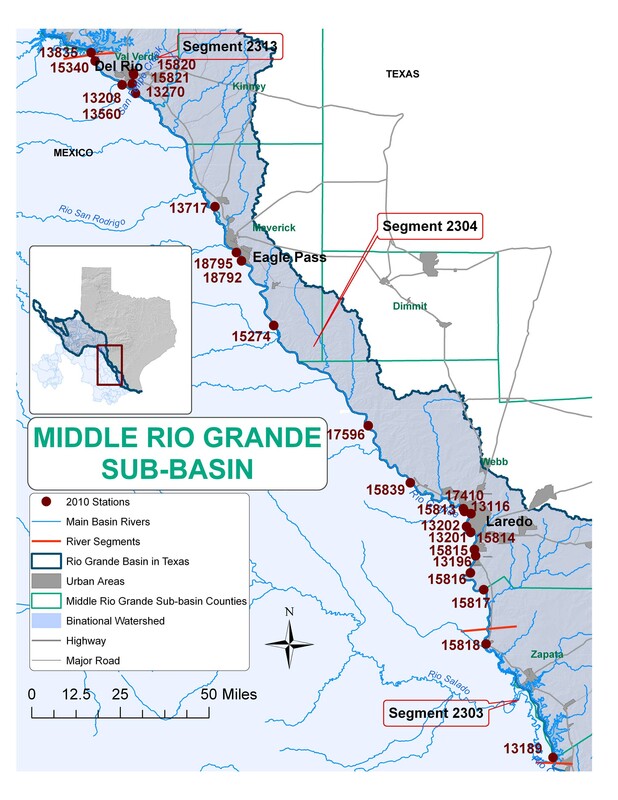 In addition, we also have major and minor tributaries of the Rio Grande in the jurisdiction of the CRP, and some of the main ones in Texas include the Pecos River, the Devils River, San Felipe Creek, Independence Creek, Manadas Creek, and Arroyo Los Olmos. 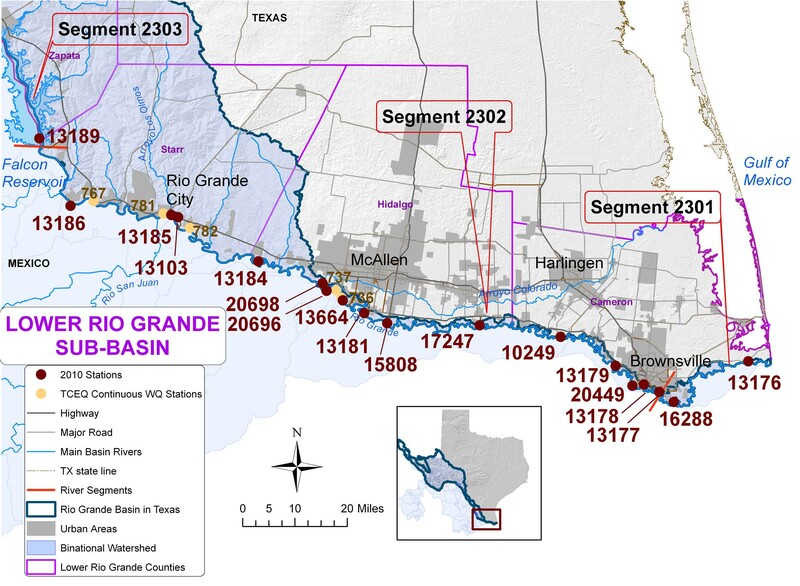 The International Boundary and Water Commission (IBWC) provides an dynamic online map interface that can be used to view USGS datasets. This site shows the locations of all CRP monitoring sites and provide links to the water quantity and quality data available at each site. 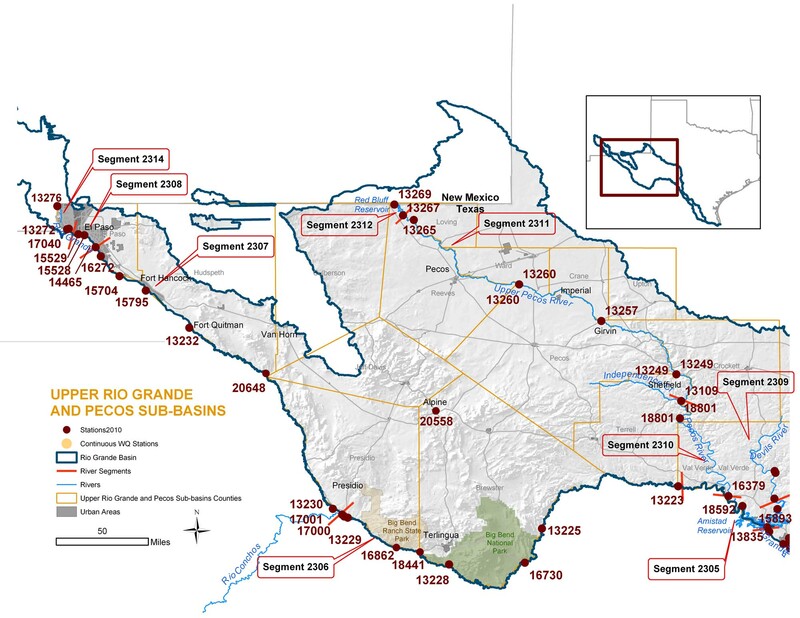 In addition, you can download GIS data for the Rio Grande Basin at our Studies - GIS data page.